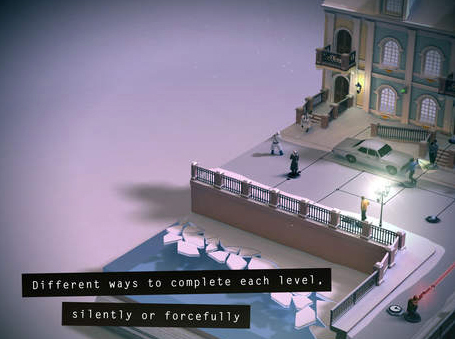 Strategy game Hitman GO has just received an update sure to make fans of the series very happy. Most importantly, version 1.11 of the game features a new classic chapter entitled “St. Petersburg Stakeout.” If that sounds familiar, it’s based on the famous level from Hitman 2: Silent Assassin. Also, the update brings iCloud sync, so players can pick up wherever they left off on another iOS device. You can snag the universal game, designed for the iPhone/iPod touch and iPad/iPad mini, now on the App Store for just $1.99. That’s a nice discount from its usual $4.99 price. Even though I’ve never played a Hitman game before, I am really loving Hitman GO. It’s a standalone game that is phenomenal with exquisite graphics, tranquil music with realistic sounds, and intuitive, strategic gameplay. It takes the stealth elements of the franchise and implements it into a board game with outstanding results. Before today’s update, the last major change to the app hit in July. Version 1.6 brought an airport-themed chapter than can be unlocked by playing through the game or immediately with a $0.99 in-app purchase. 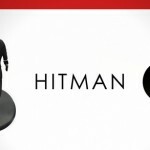 Fans of the series are in for another treat as developer Square Enix is also developing a more traditional Hitman title for iOS devices. 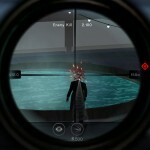 Hitman: Sniper is slated to land sometime this fall. For other app news today, see: The retro racing action of Drift ‘n’ Drive arrives for iOS on Oct. 30, Tumblr for iOS updated with new video player, two-factor authentication and more, and Demoed at Apple’s iPad Air 2 and iPad mini 3 event, Pixelmator for iPad is out now.